Approximately 100,000 people from Equateur province, Democratic Republic of the Congo (DRC), have crossed the border, fleeing extreme violence. In Republic of Congo (Congo Brazzaville), these displaced people do not have refugee status and their living conditions are precarious. Some have only limited access to aid. Most of these tens of thousands of people have taken refuge in the Republic of Congo and the Central African Republic. What are they fleeing? Initially, an internal conflict was underway related to fishing rights close to Dongo, in the DRC. At the end of October, some members of one community attacked the town's other residents. The DRC army then led an offensive and everyone fled. Some of the residents were targeted directly by violent attacks and others chose not to stay in an area with such high numbers of armed forces. We asked Epicentre, the epidemiological research centre, to conduct a retrospective mortality study for the 28th October to mid-December. The results are still being analysed, but they clearly show many deaths among the population during the Dongo attack in the DRC (from October 28-November 1) - well above the 147 under 200 deaths estimated previously. This study was conducted in the Betou district in DRC, where many refugees arrived in early November. Drownings also occurred as people crossed the river and some, although not many, also died from illness. The military phase seems to be nearly over now, as the army took the last area - the rebel leader's home village - in early January. However, we do not have much information on the current situation in Equateur or on the violence perpetrated against those who could not flee the region. There are now around 60,000 displaced persons inside Equateur province, 90,000 refugees in the Republic of Congo and 15,000 in the Central African Republic. Could the violence spread to refugee sites in the Republic of Congo? MSF teams are working at many sites along the Ubangi River, from Mongoumba, in the southern Central African Republic, to Impfondo, in the Republic of Congo. The refugees include members of all the communities, including militia members. There were several clashes, but nothing major. For now, based on what the refugees are telling our teams, they feel relatively safe in the Republic of Congo and do not want to return to Equateur, where they do not think they will be safe. Some worry about more than a rebel movement - they were brutally attacked by their own neighbors. They are still afraid. These refugees do not yet have status guaranteeing them protection and could be forced to return. Aid was slow to arrive and was quickly depleted following waves of tens of thousands of people. What are the refugees' living conditions today? The environmental conditions are relatively good. The forest and the river meet basic food needs. Most of the refugees still lack access to drinking water and rely on river water. They remain in small groups, dispersed along the river, which is also the border. Their home villages are just across the water, a few kilometers away. Some have found accommodation with local residents or in public buildings. Others have built shelters with found materials and still others are sleeping outside. Our teams will distribute metal and plastic sheeting and mosquito nets to 3,000 families who have not yet received any aid. Some refugees were able to prepare for their departure, but others fled and were unable to take anything with them. Overall, their needs are not being met but UN agencies are now responding. Aid delivery and distribution are complicated, requiring long canoe trips to reach a few hundred people. We have adapted by turning our mobile clinics into site-based ones, as time and money lost to travel were too high. 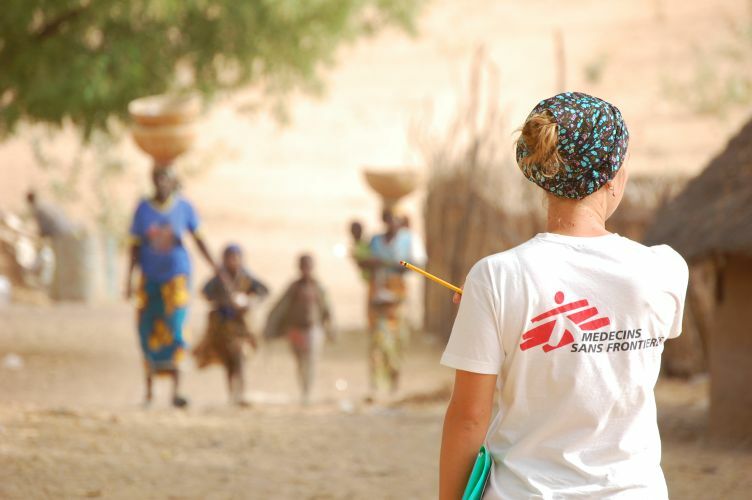 What services have the MSF teams set up for the refugees? Our activities have expanded to keep pace with the refugees' arrival. Our current program is quite large. Medical care for refugee access was very limited, in part because there were few medical facilities and because treatment is fee-based. Initially, we gave priority to organising medical services in Bétou district, where we now have five sites, in addition to services at the hospital (emergency, surgery and pediatrics). In late November, after new refugees arrived, we evaluated the situation in the south, towards Dongo and Impfondo. Following that evaluation, we set up six additional consultation sites and provided support to the Dongou health centre and the Impfondo hospital. In mid-December, the number of refugees in the Central African Republic increased so we also evaluated the situation there and launched new activities. We organised the first medical visits in Mongomba in early January. On average, 100 patients come to each consultation site every day. The primary illnesses are respiratory infections, diarrhea and malaria. All MSF clinics are free, both for refugees and the local population. There are also more MSF teams is in DRC, in Bomboma and Bokonzi towns, in Equateur province. There are an estimated 30,000 displaced people in this area.